It’s never fun to see one of your young and talented starting pitchers get angry, but Zack Wheeler was not hiding any emotions when he learned of the Jason Vargas signing, indicating that he doesn’t know what his place is moving forward, although he later apologized for those sentiments. This may be harsh, but it’s the truth — Zack Wheeler has proven nothing thus far in his major league career. When he was acquired for Carlos Beltran, most critics called it a steal for the Mets, but the point is arguable that Beltran’s been the more productive player since the transaction. That’s quite a disappointment seeing as most believed Wheeler had the potential to be an ace, but health complications have slowed his progression. In 2011, Wheeler was wooing everyone in Single-A for San Francisco, earning the distinction as a CAL Mid-Season All Star, and he was dealt to New York shortly thereafter. 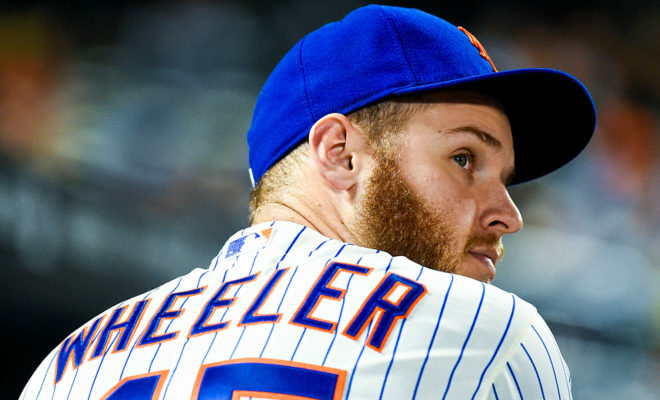 Baseball America called Wheeler the Mets’ top prospect prior to the 2012 season, but, here we are six years later, and we’re still looking for that flower to blossom. He has a career 21-23 record with a 3.90 ERA, but he simply cannot stay on the field. The only year he made more than 30 starts was 2014, when he tallied 32, going 11-11 on the season. In 2013 he had 17 starts, as was the case last season. That adds up to 66, which is all he’s made in his big-league career. When you look at the numbers, you see an often-injured middle-of-the-road pitcher. Sure, he’s only 27, but you can’t rely on him to stay healthy and be consistent. You have to earn that kind of trust. Sure, he’s doing whatever he can to stay healthy, including recent reports suggesting he’s taking stomach injections, but until the proof is in the pudding, he should be entitled to no assurances. 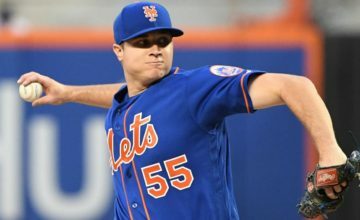 Jason Vargas has dealt with his own injury issues, but he won 18 games last season. He knows how to work deep into games and is a reliable veteran. Until Wheeler proves the same, Vargas deserves the benefit of the doubt. In terms of the rotation, one would think the only sure things are Syndergaard, DeGrom and Vargas, with Matt Harvey and Steven Matz likely to take the final two spots. Instead of sulking, whining and putting his head down, Wheeler should be on a mission to prove why he’s still valuable to this baseball team. This value has obviously translated across the board as The Mets currently sit at roughly +1200 to win the 2018 NL Pennant, if you we’re planning on putting some money down on the Mets these sites to bet on sports are reviewed based on security and safety. 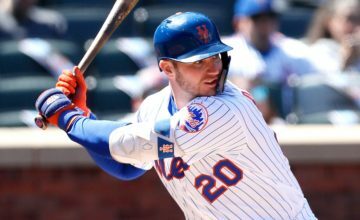 For the Mets title chances bringing in Todd Frazier was a solid move, but just like last year, the Mets’ prospects are heavily dependent on the health of their starting pitching. The team only got 38 starts, combined, from Matt Harvey (17), Steven Matz (13), and Noah Syndergaard (7) in 2017. They will need all three to log more innings in 2018 to be competitive. Go to the bullpen and be quiet. Heck, if you have a big spring, you’ll be in the rotation, but, either way, your chance to start will come, unless you become a fixture in the bullpen. There are several guys that’s worked out pretty darn well for. See Andrew Miller, Aroldis Chapman, Wade Davis and others for examples. Chapman and Wade Davis were closers on World Series-winning teams, and Andrew Miller became a dominant force in Cleveland, where Mickey Callaway was his pitching coach. Not to steal from Joel Embiid, but trust the process Zack, and your time will come. 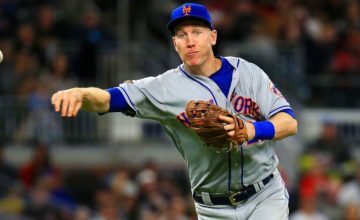 ← Previous Story Who is the 5th Outfielder on the Mets?